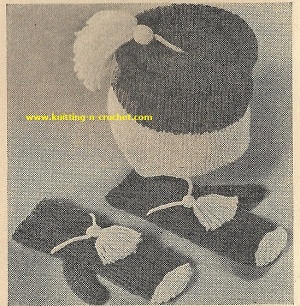 Free vintage knitting mittens and hat pattern. Knit several sets for gift giving. The hat features eat-laps and an attractive tassel. Directions are given fora medium size but the size can be varied by using larger or smaller needles. You will need 4 ounces sports yarn for main color, 2 ounces sports yarn for contrasting color and one pair each sizes 3 and 5 standard knitting needles. Row 1 (wrong side) : K 1, * p 1, k 1, repeat from * across. Row 2 (right side) : P 1, * k 1 in st below, p 1, repeat from * across. Earlap Band: With CC and using number 5 needles, cast on 12 sts. Work in garter st (k every row) for 2¼ inches. Row 1 (right side) : K 3, inc 1 st in next st, k to end (13 sts). Repeat these 2 rows until there are 19 sts on needle. Work even for 10 rows (5 ridges), ending on wrong side at shaped edge. Row 1: K 3, sl 1, k 1, psso, k across row. Row 2: K across row. Repeat these 2 rows until 12 sts remain on needle. Work even until 13 ½ inches from beginning. Shape second earlap as above be-ginning with row 1 of earlap inc. When earlap is completed work even on 12 sts for 2 ¼ inches. With straight edge of earlap band facing and using MC, pick up and k 99 sts across band. Work in pattern stitch until piece measures 4 ½ inches above CC band, inc 1 st on last row (100 sts on needle). Row 1: * K 25, place marker on needle, repeat from * to end. Row 2: K each st.
Row 3: * S1 1,k 1,psso, k to 2 sts before next marker, k 2 tog, re-peat from * to end of row. Repeat rows 2 and 3 until 12 sts remain. Fasten off yarn, leaving 10-inch end. Draw yarn through sts and pull together tightly. Finishing: Sew seam of crown and back seam. Make a 3-inch tassel with CC and join to center top of hat with 2-inch chain. To make tassel wind yarn desired number of times over a 3-inch cardboard. Cut yarn at one end, then tie in center. Fold yarn and tie about ½ inch from folded edge. Trim cut edge. Make a 1-inch pleat in hat as illustrated. Mittens: Using number 3 needles and MC, cast on 39 sts. 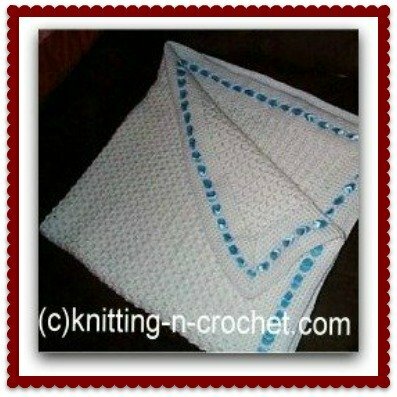 Work in pattern stitch for 3 inches. Change to number 5 needles and work 4 rows in pattern stitch. Row 1: Work 18 sts in pattern, k next 2 sts, inc 1st in each st, work remaining 19 sts (being sure to keep continuity of pattern). Row 2: Work 19 sts in pattern, k 4, work 18 sts in pattern. Row 3: Work 18 sts in pattern, inc 1st in next st, k 2, inc 1st in next st, work 19 sts in pattern. Row 4: Work 19 sts in pattern, k 6 sts, work 18 sts in pattern. Continue inc as given above until there are 10 sts between incs. Work 19 sts, place on holder, k next 12 sts for thumb, place remaining 20 sts on holder. Work even in garter st on the 12 sts for 2 inches. Row 1: K 2 tog 6 times. Row 2: K 2 tog 3 times. Fasten off yarn, leaving 5-inch length. Draw remaining sts together and fasten off. Place sts from first holder on needle. Join yarn. Place sts from second holder to left hand needle and work in pattern stitch for 3 inches. Fasten off yarn. Join CC and k 4 rows. Dec Mitten Tip-Row 1: * K 3, k 2 tog, repeat from across ending with k 4. Rows 2 and 4: K each st.
Row 5: * K 1, k 2 tog, repeat from * across. Row 6: K 2 tog 8 times. Row 7: K 2 tog 4 times. Fasten off yarn, leaving 4-inch end. Draw remaining sts together and fasten off. Finishing: Sew seams. Make a 21/2-inch chain with CC. Make a 2-inch tassel of CC. Draw chain through tassel as illustrated, attaching each end of chain to side of mitten. Make a second mitten in same manner. 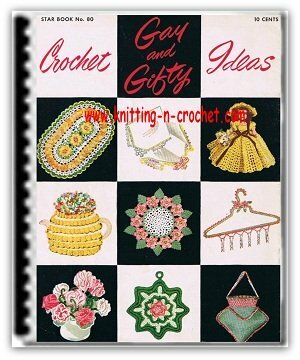 Looking for online craft stores? Our area has lost many also so I have found these online craft stores. I like the variety of items they carry and it is delivered right to my door. So what ever you may need if it is yarn, needles, thread, hooks and even patterns, you may want to browse their shelves.